Square Enix has packed the entire 100+-hour adventure onto a tiny Nintendo 3DS cartridge, and has even added more content to this gargantuan adventure. The end result is quite possibly one of the largest and best RPGs to ever hit the Nintendo 3DS. Square Enix have broken Dragon Quest VII: Fragments of the Forgotten Past’s story down into self-contained byte sized episodes. This makes it easy to bring new characters into the fold with their own unique problems and issues to resolve. As with other remakes, you will notice that quite a few of the towns and characters have had their names changed from the original. However, Square Enix has taken it one-step further by completely redrawing the graphics in the game. In addition, Dragon Quest VII: Fragments of the Forgotten Past contains all new 3D character models that are quite impressive. Fans of the original release will appreciate the remastering of Koichi Sugiyama’s beautiful soundtrack—the newer tracks are just as enchanting and mesmerizing as the original. As mentioned earlier, the games script has been rewritten and now each town has its own dialect, culture, and rituals that makes them standout from eachother. Townspeople are now more approachable and have a warmer inviting feel to them, which makes their wants and needs more relatable. Solving a town’s crisis and then being whisked back into present day where you can pay the town another visit is very satisfying. Not only does this give you a strong sense of righting the wrong, but listening to present day townspeople talk about a legendary hero, who is you, who saved their town many years ago will send shivers of joy down your spine. In addition to the remastered graphics, sound, and script Square Enix has included new features to the game that can only be found on the Nintendo 3DS version. One of my favourite new features is the Story summary screen that you can access in the menu at any time during the game. This made it easy to jog my memory on where I had left off and what had happen after not being able to play for a few days. Additionally, the new Fragment Detector that is on the Nintendo 3DS’s lower touch screen pulsates as you come closer to locating a tablet fragment and makes finding them that much easier. Although I loved the fresh coat of paint that Square Enix added to the towns in the game, I felt that the same character models were used way too many times. It was quite odd to see a character in one town that had perished, seemingly reappear in the adjoining town with a different name. I was shocked that after all the additions Square Enix had made to this amazing game, that the right numb on my new Nintendo 3DS could not be used to adjust the camera. Instead, you have to use the left and right shoulder buttons to move the camera around. Luckily, these are only minor gripes and in no way take away from what is and amazing experience. 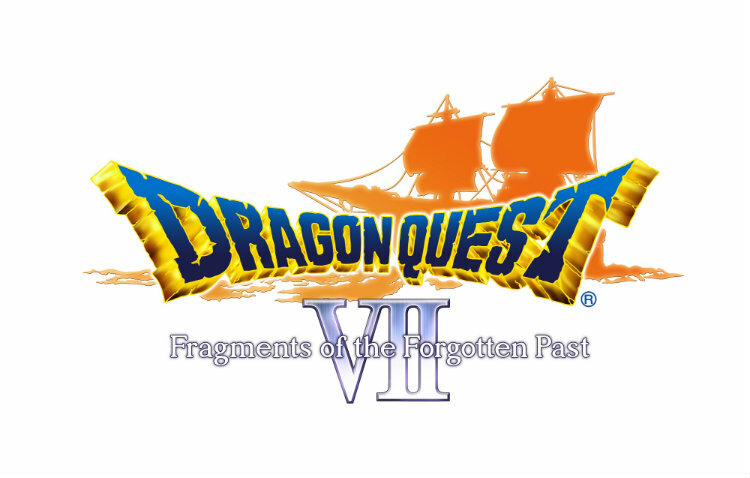 Dragon Quest VII: Fragments of the Forgotten Past is one of my top three favourite JRPG on the Nintendo 3DS. If you love RPGs then you will without a doubt fall in love with this game. This game contains an amazing amount of content, bright new updated graphics, a fantastic soundtrack, and changes to the story that makes a game released 15 years ago feel like new. Dragon Quest VII: Fragments of the Forgotten Past is sure to be high on the holiday shopping lists of many Nintendo 3DS owners this year.